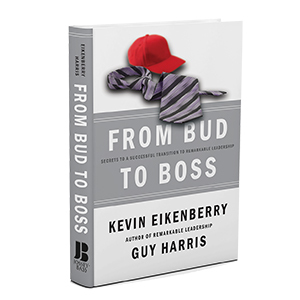 The transition from bud to boss is a challenging but exciting one, one that brings new responsibilities, new relationship dynamics, and new opportunities for personal and career growth. Often, new supervisors don’t get the training, support, and guidance they need to be successful. Kevin Eikenberry and Guy Harris have created a comprehensive solution to the leadership transition crisis that many new supervisors face. From Bud to Boss outlines practical steps new supervisors can take to face the challenges of leadership with confidence. Each section offers a chance for self-assessment and goal setting, so readers can identify their own areas for growth. As readers reflect and then act on the principles in the book, they will become more effective in their leadership roles.